With both seasons starting to heat up more and more as the days pass, here are some tips to keep in mind. 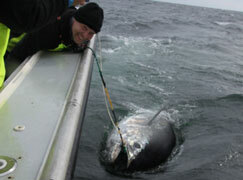 Be sure to use a large enough sinker to hold the bottom, larger sinkers are needed as drift speeds and depths increase. The speed of the drift is determined by both the wind and the current generated by the tide larger diameter lines also require heavier sinkers, drop the rig to the bottom and keep the amount of scope in the line to as little as possible. The more line that is in the water, the greater the water resistance and the tougher it is to hold bottom. Those fishing smaller boats can use their motors to stem the tide by placing the stern into the tide and bumping the motor in and out of gear, this will also allow the anglers to spend more time over a productive piece of bottom. This is known as stemming. This should be done only when conditions permit. No boat should never be held into a significant sea stern first for any length of time. When there is little or no drift, the motor can be used to create a drift. Once again, bump the motor in and out of gear to cover the bottom as thoroughly as possible. This is known as power drifting. Once you arrive in an area, it is important get a feel for the exact direction and speed of the drift. 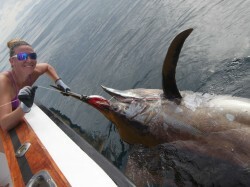 Position the boat just above the area to provide enough time to get the rigs baited and to the bottom. 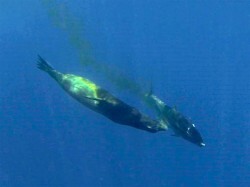 Use a fishfinder (sonar) to watch the depth and the quantity of bait on the bottom. Watch for eddies and rips on the surface as they indicate changes in the bottom where the fish feed and hold. 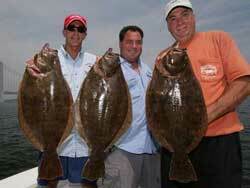 Pay careful attention to exactly where in the drift the boat is when a fish is caught. 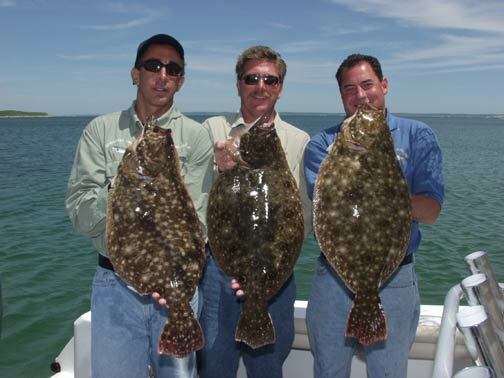 Click here to learn more about Fluke Fishing and the proper techniques and tackle. Some of the most productive techniques for striped bass are chunking with bunker and trolling umbrella rigs, tubes, or bunker spoons. 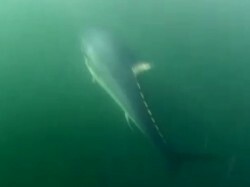 Chunking is one of our favorite techniques in the western sound because with the right current you can get into a rip roaring bite with constant and multiple hookups which gets pretty intense with 4 anglers fishing. The best hook placement for chunk baits must allow for the hook to easily pulled from the bait. There is never a need to hook the bait deeply. When fishing in the shallows with very little current, sinkers are not needed. However, if there enough current to move the bait it is critical that an egg sinker is added to the main line above the swivel. The smallest sinker that is heavy enough to hold the bottom should be used. Click here to learn more about Striped Bass Fishing and the proper techniques and tackle.